Are there how many plaforms on kyoto haruka? 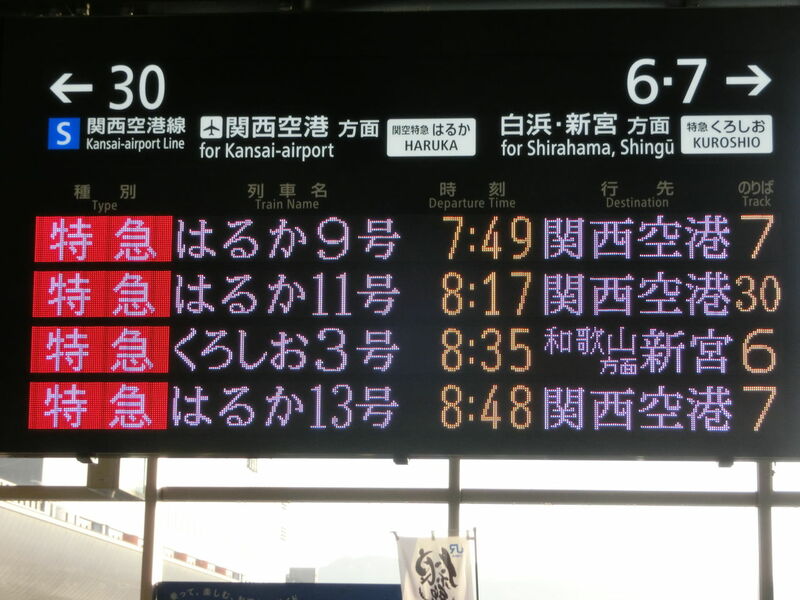 In general, always confirm your departure track on the signboards at the station, even if you looked it up before. It can and does change. No.30 track most, some in the morning are No.6 or 7. But you can see the dep info board at front of ticket gates on the day. Not only Japanese letters, wait 10 sec just keep watching. This is not latset, just a sample. 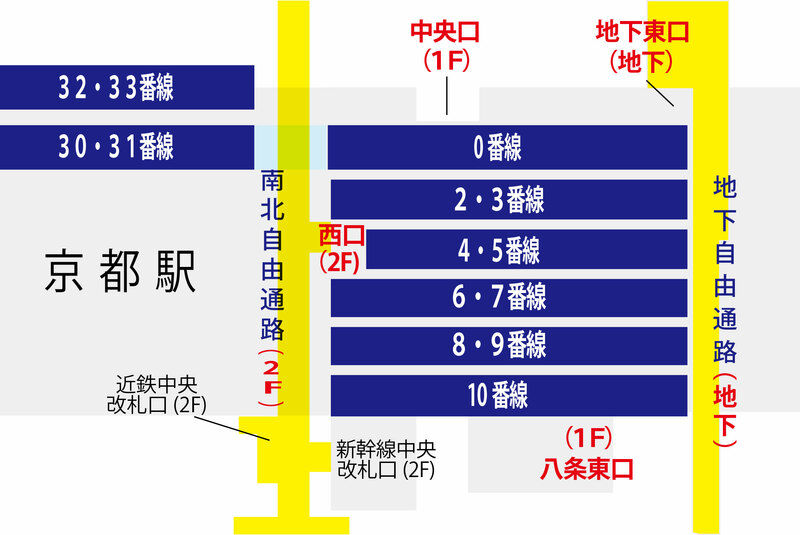 Even if transfering fr other JR train(including Shinkansen), no worry. Listen carefully the transfering announcement by conductor. This is not latest, just a sample. 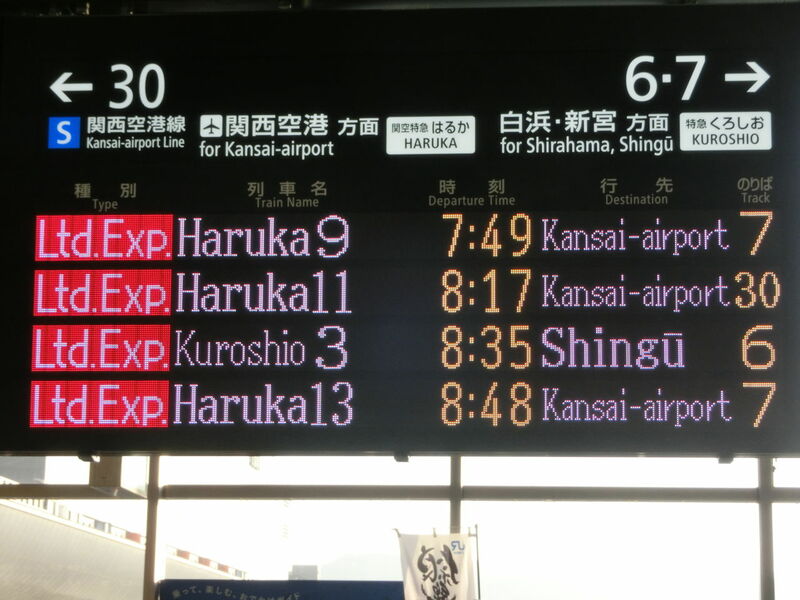 Haruka trains are expected to be at Tracks 30, 6, 7 and 0 in Kyoto Station. they depart or arrive at Track 30 in Kyoto Station. which make a stop at Track 0 in Kyoto Station.